Docking in different destinations presents the perfect opportunity for one of life’s greatest pleasures — shopping! Sail around the equator to find our favorite best beach boutiques. 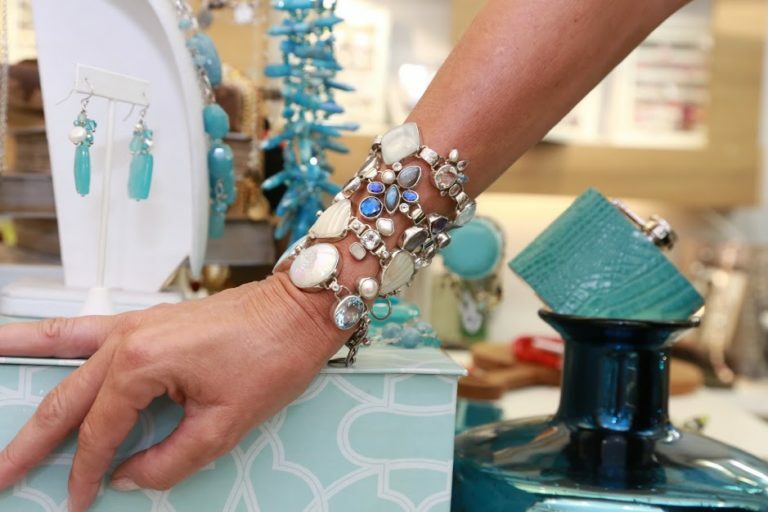 In South Florida, the Bahamas and the Caribbean, the boutique vibe is a mix of tropical meets trendy, laid-back meets luxury and cosmopolitan meets bohemian. These trends aren’t just popular in these regions, but all over the world! 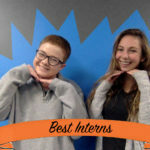 Here are some of our favorite places to shop to find unique clothes, jewelry, etc. Stand out, rather than fit in with everyone else in a room by wearing one-of-a-kind jewelry created by owner and artist Barbara Grob. A good example is the hand-wired, bezel-set Labradorite earrings with big yellow topaz medallions surrounded by a double row of white topaz halos. Grob whimsically calls this original design the “Labra Dooby Do Right.” These and everything else in the Fleming Street boutique, including a huge pearl collection, look more like pieces of art than accessories. 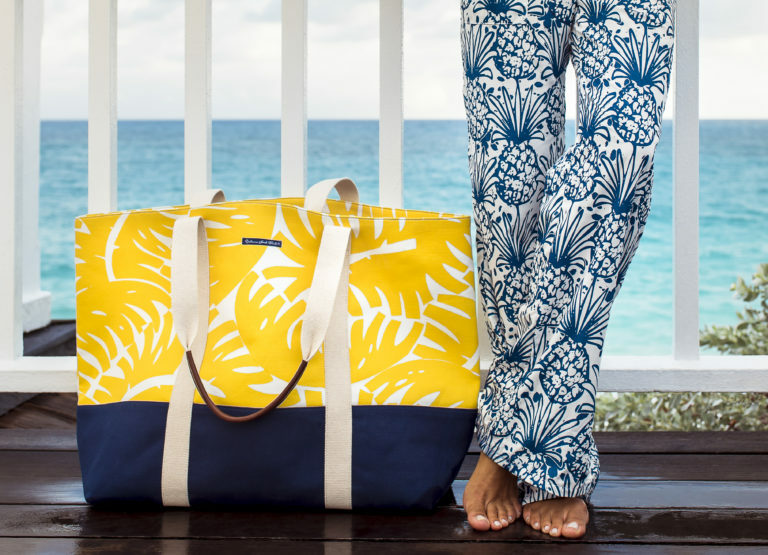 Hand-printed fabric bags with bold patterns and brilliant colors come in sizes and styles perfect for everything from boating to kicking back onshore. The must-have here is definitely the beach bag, which is big, sturdy and chic. Find these at the Ernest Street Boutique, located at the foot of Paradise Island Bridge, where you can watch owners Alannah and David van Onselen silk screen live. Also, buy clothing and homewares here such as pot holders, napkins, towels, cushion covers and print fabric by the yard. 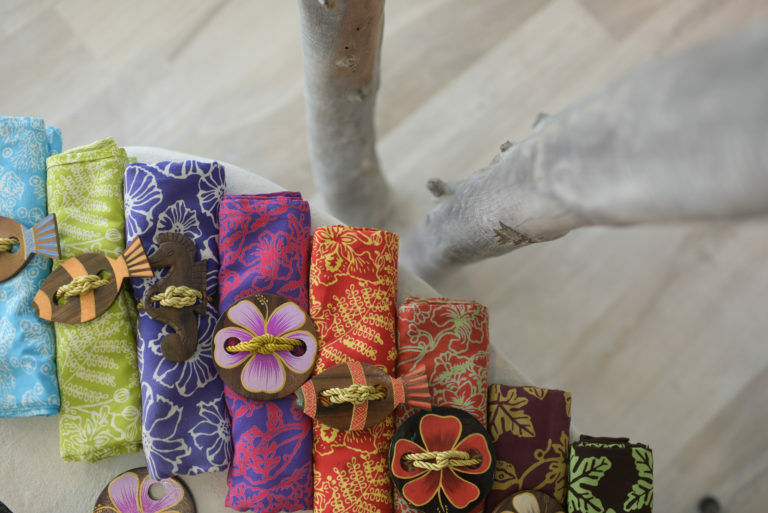 Gorgeous hand-painted sarongs in shades of blue, green and red are extra special at this downtown boutique owned by Tanya Klonaris, artist and Rhode Island School of Design alumna. The reason is a disk-size, color-coordinated wooden Pineda Covalin button. This decorative fastener makes dressing a breeze and derails accidental unravels. Designs include vines, sea and sand dollars and bush prints. Bush, the local lingo for herbs and other island greenery like limes, is the star ingredient in Klonaris’ heavenly scented soaps. They come in circle, slice and scroll shapes. 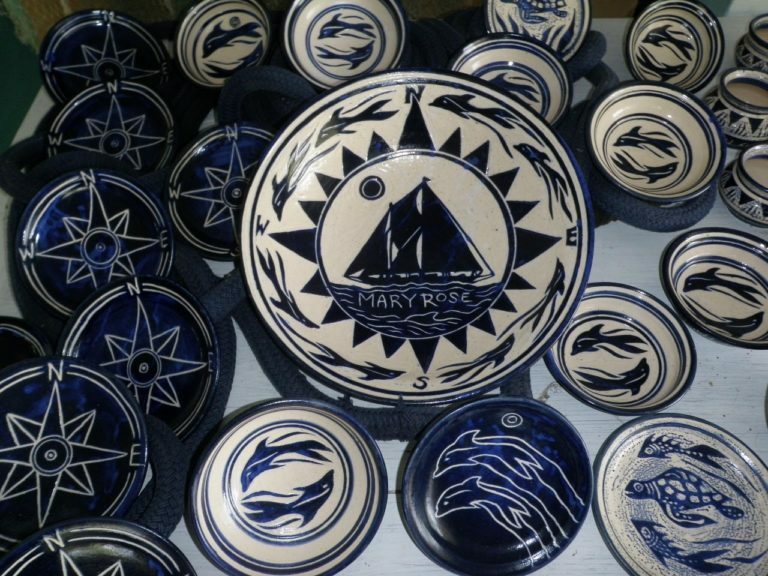 Sights of the sea captured on pottery, which is made from clay the artist digs on her native Antigua, is what makes Nancy Nicholson’s work so spectacular that they’ve been presented as gifts to British royalty. Her quaint sea-blue shop located next to Nelson’s Dockyard, where her grandfather founded the Caribbean’s charter industry in the 1950s, is a gallery for premade works and studio for custom designs. Ask for or commission a complete dinner service, functional bowls and platters or other one-off decorative pieces. Sail around the equator to find warm weather and amazing boutiques! You’ll find that perfect gift for a friend, special someone, or even yourself! Search for more amazing adventures on snagaslip.com! 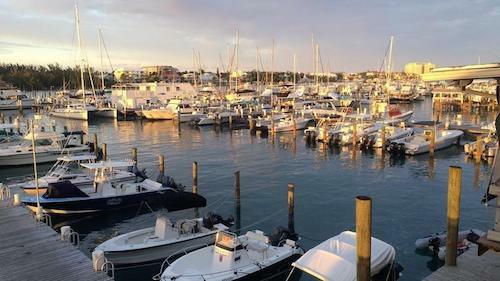 When searching for marinas, use our Interactive Map! 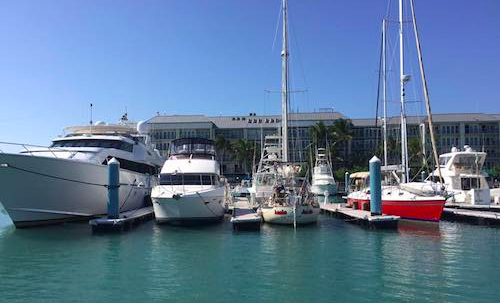 Or check out our partner Marinalife with their marina listings for reference!